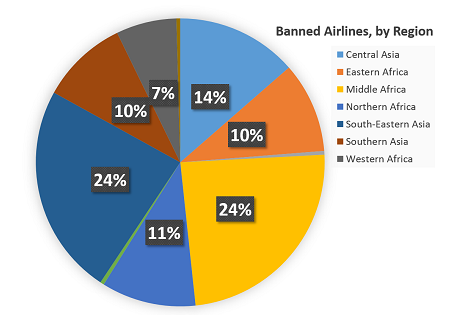 Headline: The update clears Kazakh carrier Air Astana, but adds Iraqi Airways. Pursuant to Regulation (EC) No 2111/2005, the EU Air Safety List is regularly updated by safety experts from the Member States. They meet at list twice a year within the EU Air Safety Committee (ASC), which is chaired by the European Commission with the support of the European Aviation Safety Agency (EASA). In cases of emergency, a specific procedure is foreseen. To date, all decisions on imposing and lifting restrictions have always been reached with the unanimous support of the ASC. This enhances the credibility of the Air Safety List and ensures that Member States take collective responsibility. Assessment is made against international safety standards, and notably the standards promulgated by the International Civil Aviation Organisation (ICAO). The European Commission and the Air Safety Committee use a variety of sources of information when assessing whether or not international safety standards are respected. These sources include ICAO, FAA (US Federal Aviation Administration), EASA and ramp inspections‘ reports, as well as information gathered by individual Member States and the Commission itself. Today’s update of the Air Safety List is based on the unanimous opinion of the EU Air Safety Committee, which met from 24 to 26 November 2015. It will be published in the Official Journal of the European Union on 11 December. 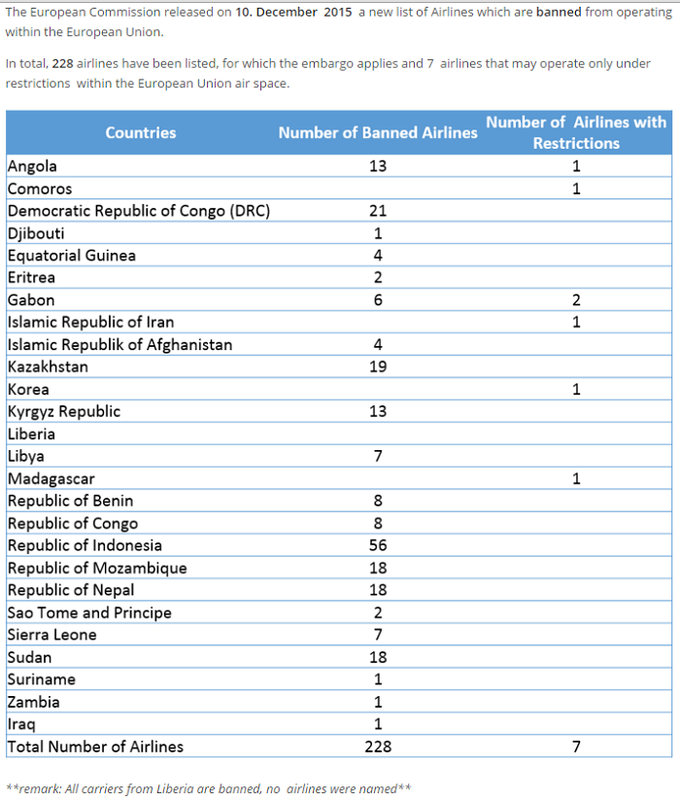 In total, 228 airlines have been listed, for which the embargo applies and 7 airlines that may operate only underrestrictions within the European Union air space. 2 AEROVIAS DE MEXICOS S.A.
3 AIR NEW ZEALAND Ltd.
10 JAPAN AIRLINES COMPANY, LTD.
12 MNG HAVAYOLLARI VE TASIMACILIK A.S.
16 PEGASUS HAVA TASIMACILIGI A.S.
20 SOUTH AFRICAN AIRWAYS SOC LTD.
21 TAM LINHAS AEREAS S.A.